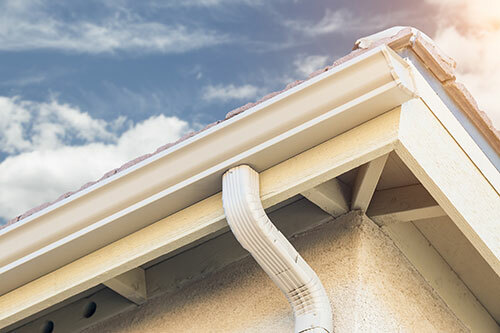 If your home is without gutters or they’re not properly installed or maintained, then your home could be in danger of severe damage caused by rainwater runoff. At New View Roofing, we provide premium gutter installation, repair and maintenance services to ensure all components of your roofing system are functioning properly. Rainwater will properly be guided to the downspout. Water damage to your home’s siding can be prevented. Basement flooding and foundation damage can be avoided. Lawn erosion can be prevented and landscaping preserved. Throughout the year, debris and other particles filter into your gutters and downspouts. It’s imperative to stay vigilant about keeping these components clean. By scheduling yearly gutter maintenance, the team at New View can help keep your gutter system in working order and prevent costly water damage from occurring. In terms of visual appeal, it’s important that your gutters blend with or complement your roof. Otherwise, they can be an eyesore that distracts from the exterior beauty of your home. We offer a variety of gutter styles and materials to match your home design and enhance your property’s curb appeal. Our expert roofing contractors will help you choose from K-style gutters and half-round gutters to find the right shape for your existing roof structure. We also provide seamless aluminum, steel and copper gutters to achieve the look you desire. Call the Professionals at New View Roofing! At New View Roofing, we’re happy to help you clean, replace or repair your damaged gutters. For a free inspection, call (469) 232-7220 or contact us through our online form. One of our friendly staff members will be in touch with you within 24 hours of receiving your request.